Mask your voice four different ways. Voice changer has a 3.5" diameter speaker. 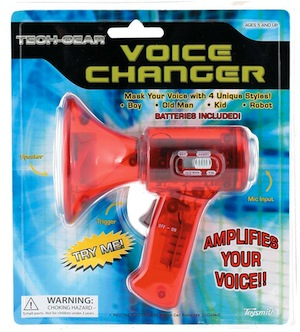 Amplifies your voice. Requires 1-9 Volt battery - NOT included.